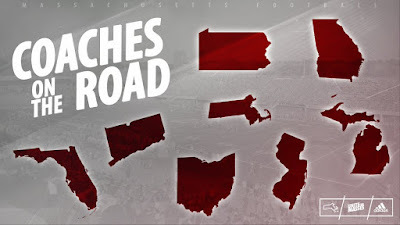 UMass recruiting mostly the East coast and Ohio and Michigan. Boston College signs a legacy QB Steve Lubischer. He had camped at UMass but apparently did not have a UMass offer. This article rates Greg Landry as one of the top-15 all time Detroit Lions draft picks. Sports Illustrated reports there will be a college football video game out by 2020. The Orlando Sentinel previews 2018 opponent Charlotte.